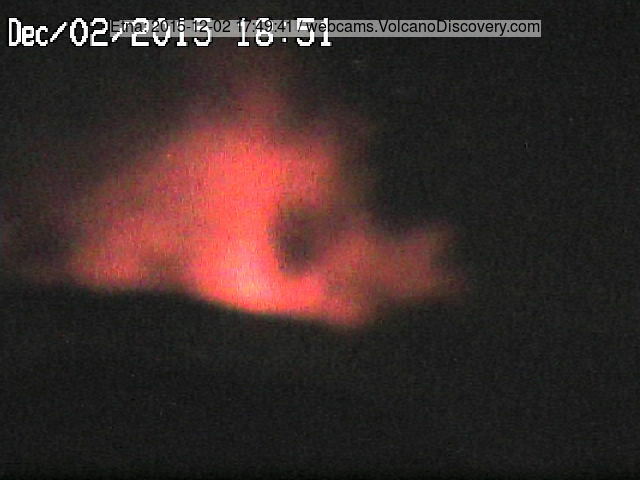 Etna (Sicily, Italy): It seems that a new episode of strombolian activity has started at the New SE crater a few hours ago. Momotombo (Nicaragua): As this morning's webcam images already had suggested, a new fully-blown magmatic eruption is now in progress at the volcano: pulsating lava fountains (or continuous, strong strombolian activity) feed a new lava flow that slowly descends on the NE side of the volcano, and a dense ash plume that rises approx. 2-2.5 km above the volcano and drifts NW.